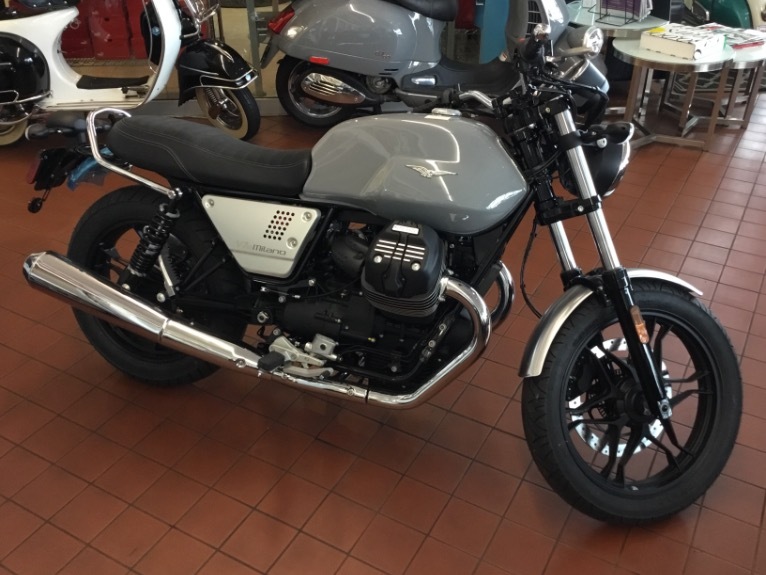 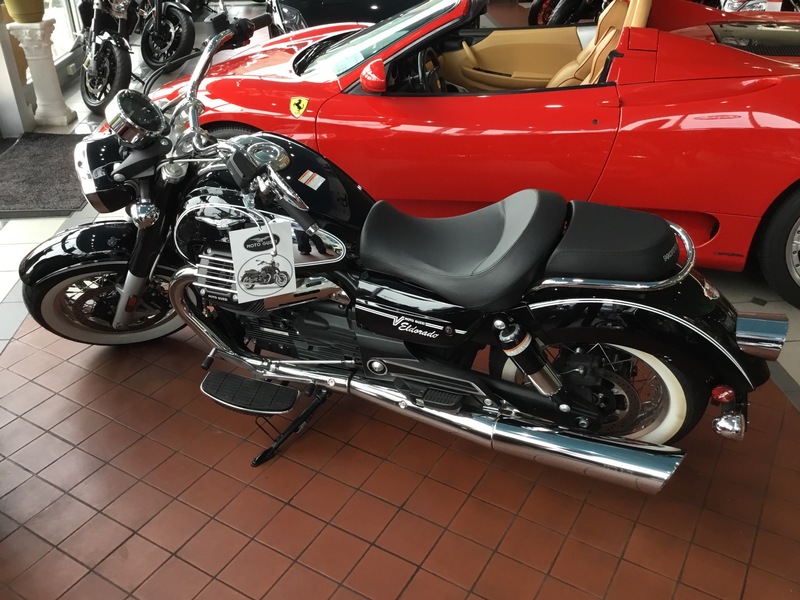 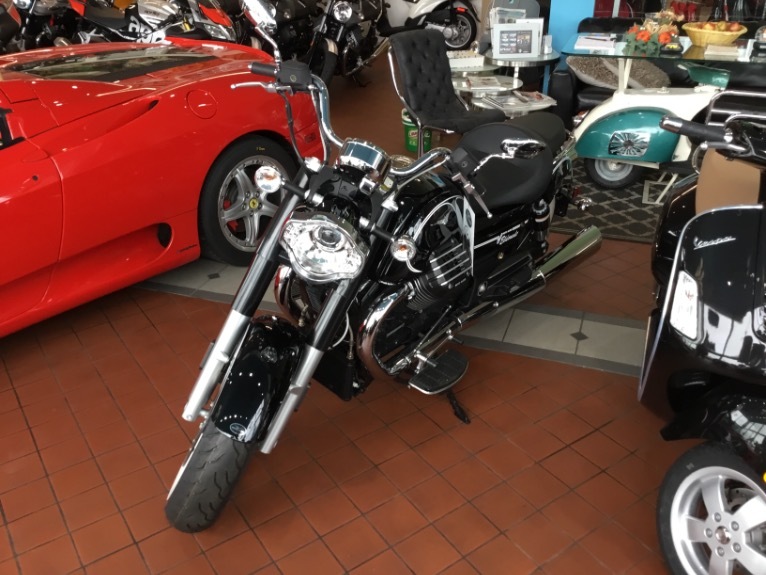 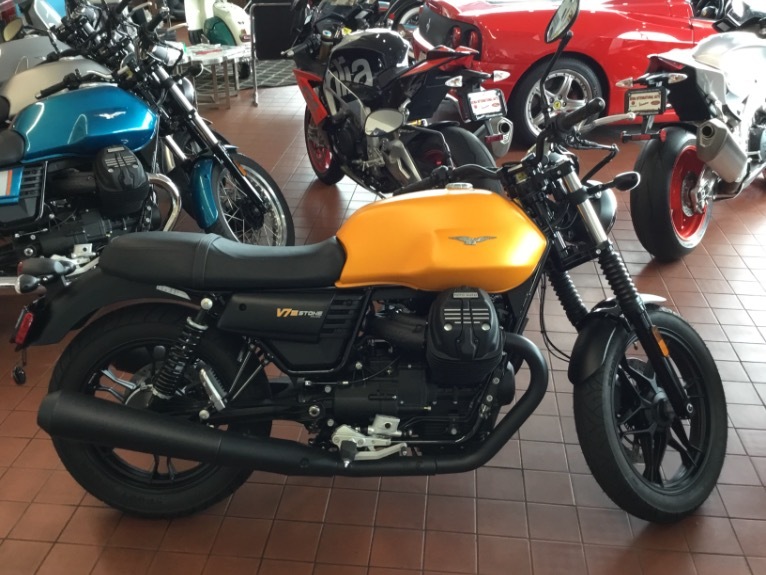 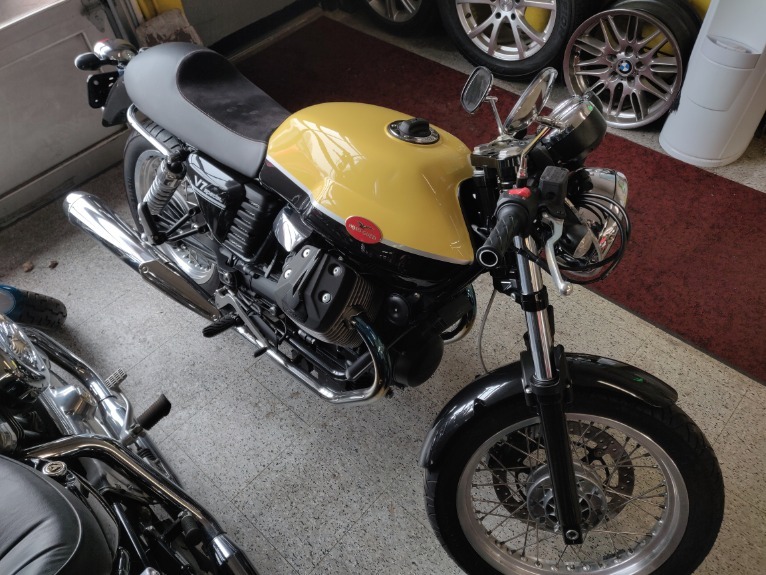 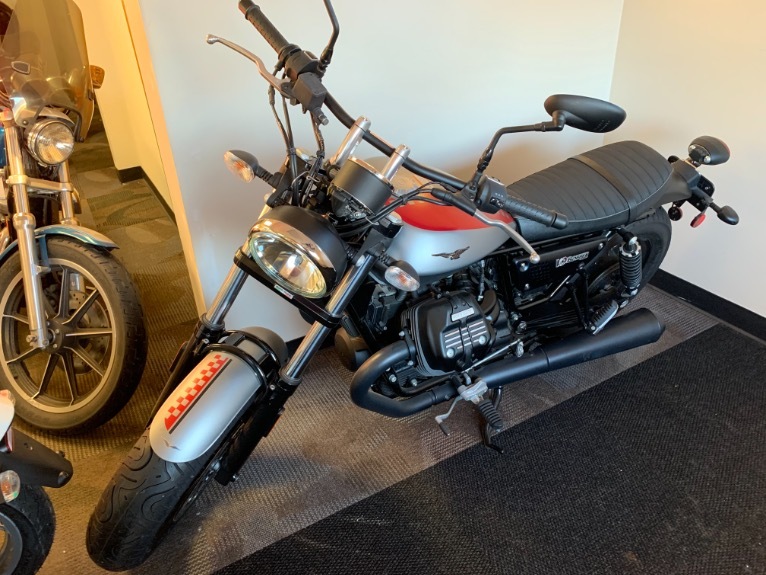 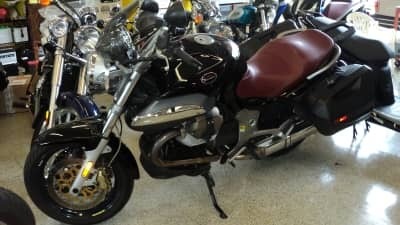 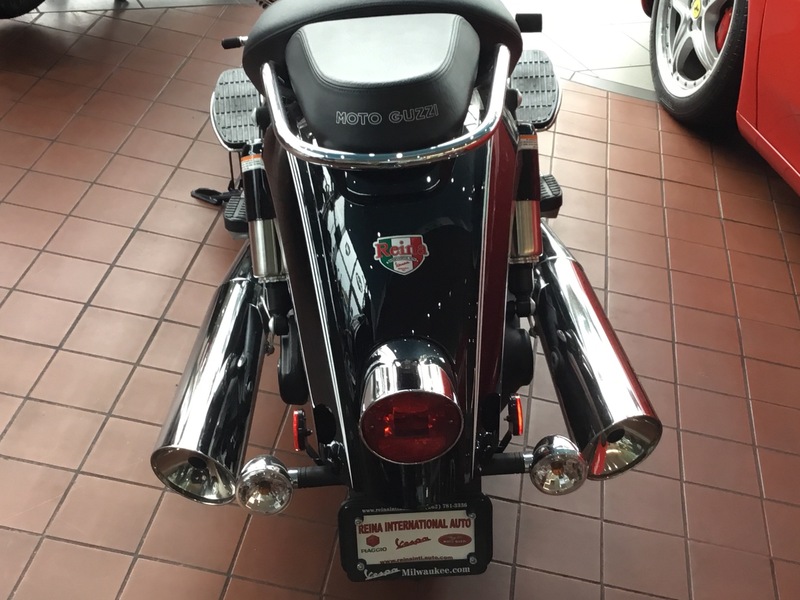 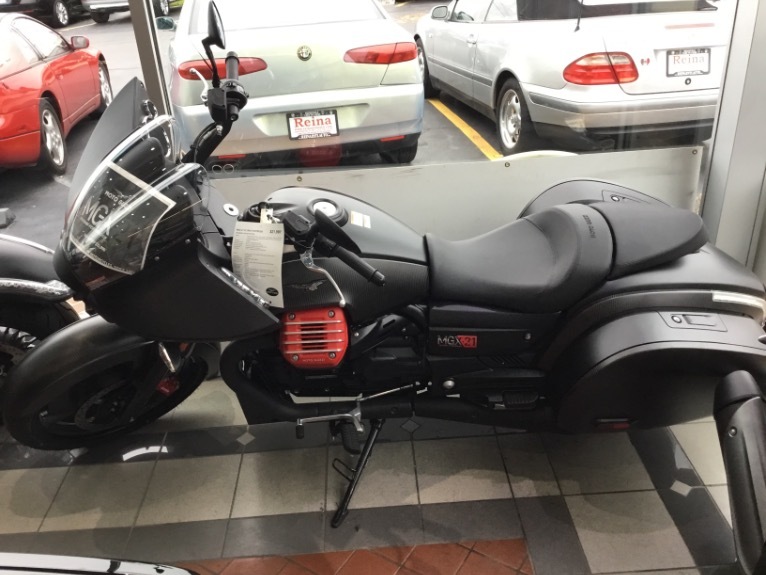 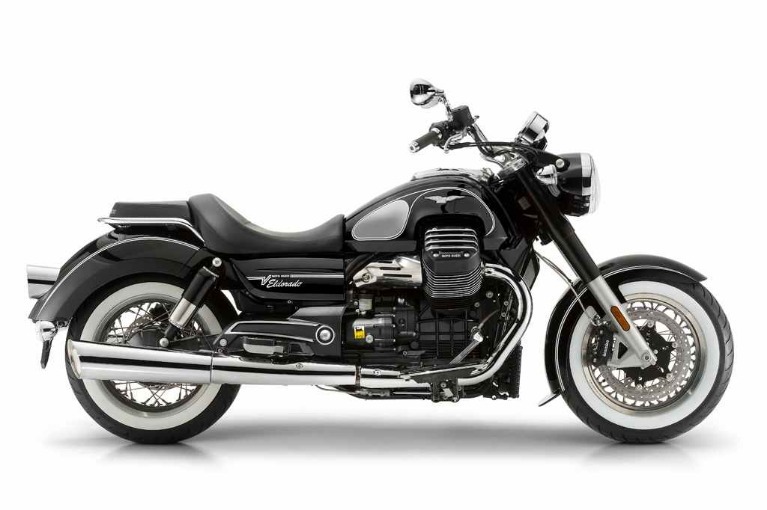 2016 Moto Guzzi Eldorado. 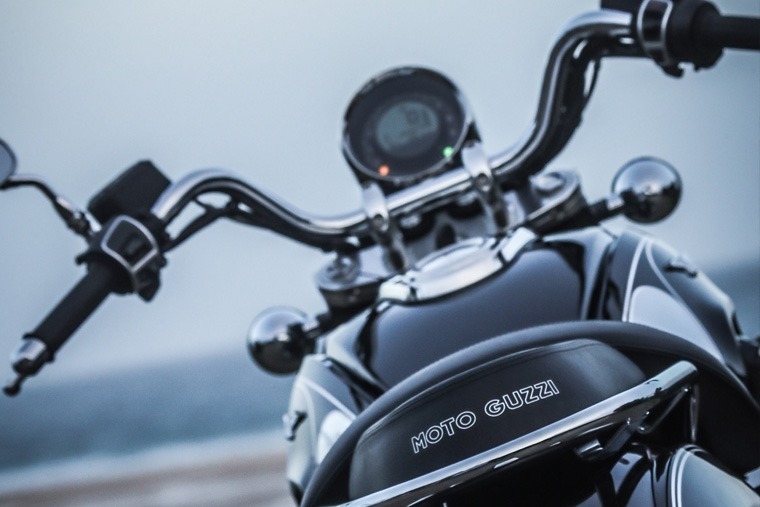 The flashback effect comes out in the details: the spoke wheelsthe fuel tank with chromium sidesthe oversize saddlethe rear mudguard with the gem-shaped taillightthe bullhorn handlebarthe passenger grab handle. 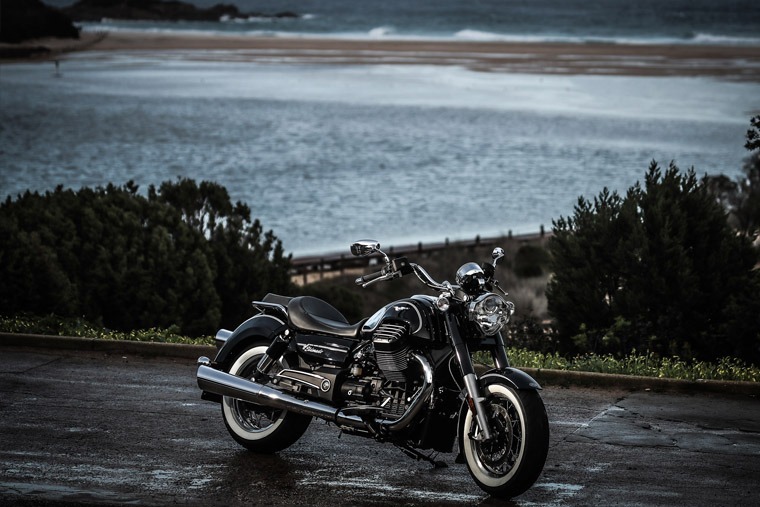 With a lower setup thanks to the new sixteen inch spoke wheels that mount whitewall tyres (130/90 on the front and 180/65 on the rear)attention is drawn to the new wraparound mudguards. 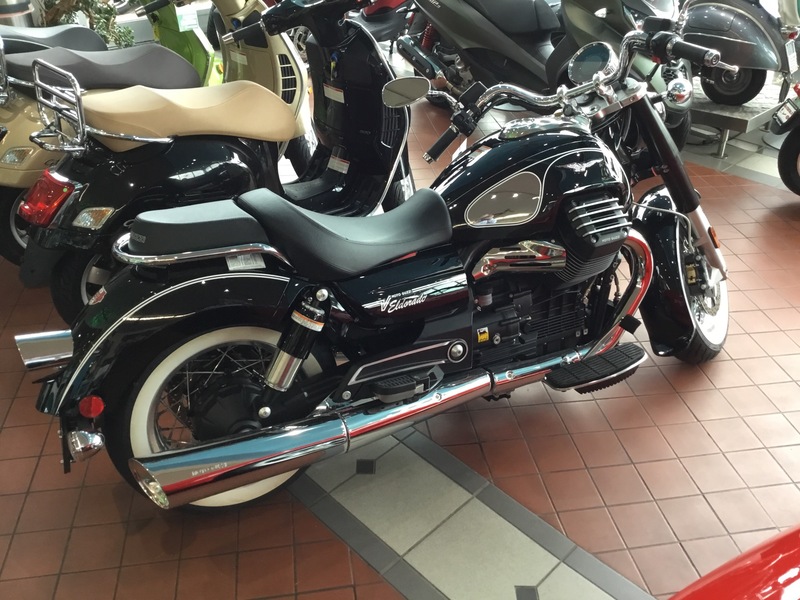 The front has a particularly clean design which enhances the powerful front endwhereas the rearon the other handis the element that draws the most attention on this ultra elegant Moto Guzzi. 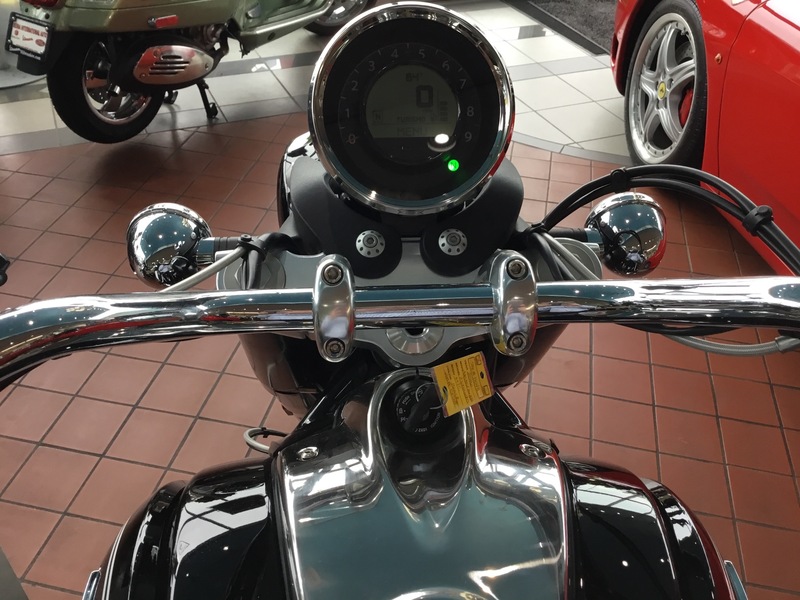 Its smooth and generous shape integrates with the new full cover shock absorbersthe gem-shaped rear light cluster and the classic rounded turn indicators. At the front the Eldoradolike the Touring and Custom modelsis also distinguishable by its original complex surface headlight with polyelliptical light equipped with LED daylight running light (DRL). 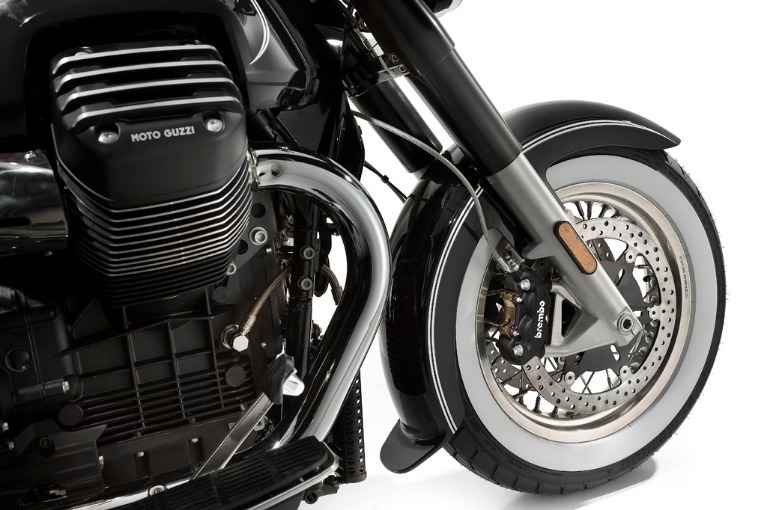 Speaking of digital technologiesthe instrumentation is particularly satisfyingcontained in a 150 mm diameter circular panel with the analogue rev counter scale finding its place along the external circumference and a multifunction full-matrix suspended display at the centreall packaged neatlylike a luxury watchin a bright chromium housing. 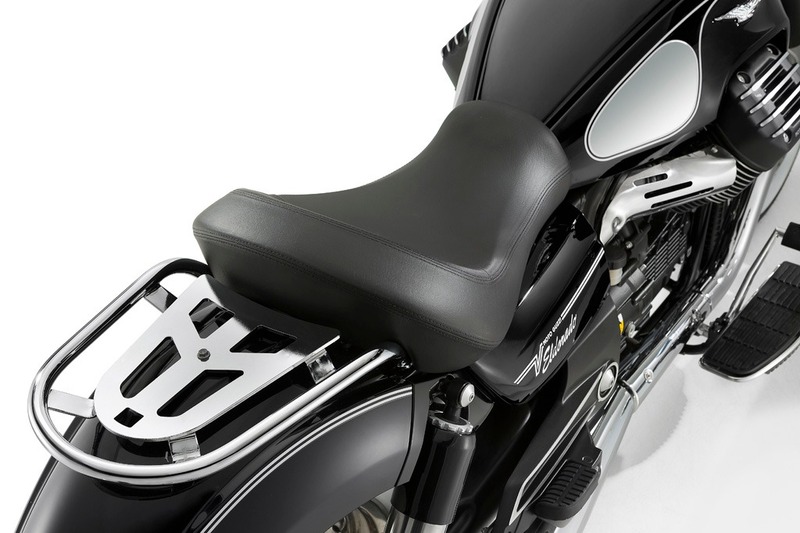 You never get on the Eldoradobut rather you settle comfortably into the saddle. 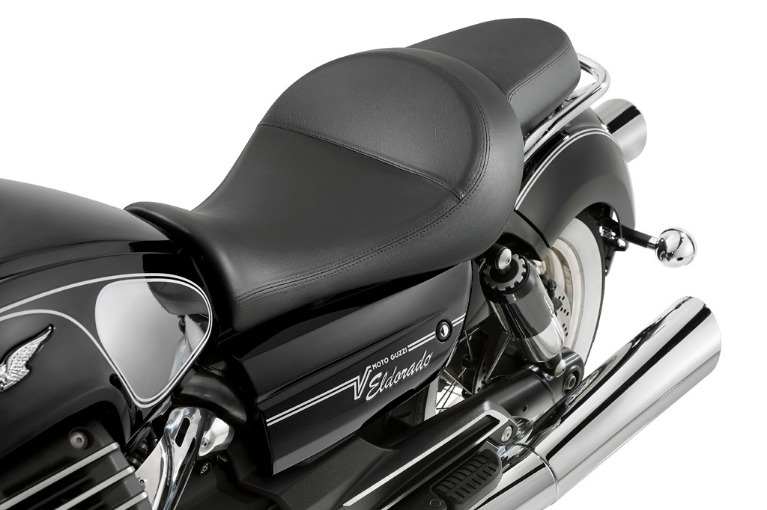 Positioned just 724 mm from the groundthe new saddletogether with the generous floorboards an the comfortable bullhorn handlebar gripis an invitation to take a seatpress the start button and let the asphalt roll under your feet for at least 300 kilometreswhich is the minimum range guaranteed by the sculpturesque 21 litre fuel tank. 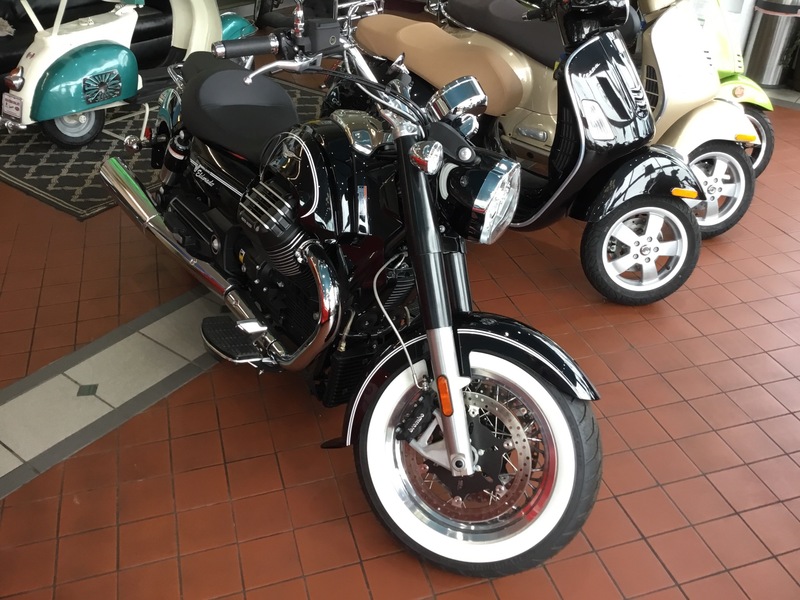 If the road is a never-ending Interstate Highway you can activate cruise control by pressing the button on the right-hand electric block and sail along as you listen to the throbbing 90 V-twin filtered by the big block's elastic-kinematic mounting systemknowing that if you need or desire itthe cardan final drive will be ready to unleash up to 120 Nm onto the tarmac at 2750 rpm. 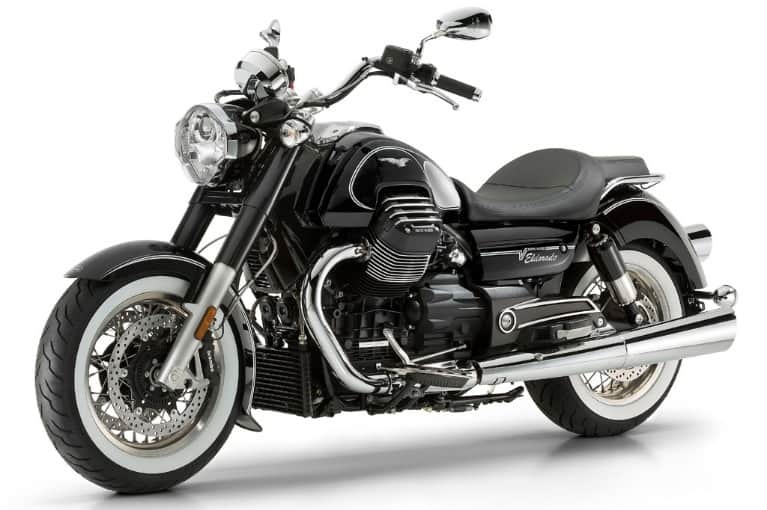 Technically unchangedthe twin cylinder confirms its monumental architecture enhanced by the polished valve covers with Moto Guzzi silk-screened on them and the tight and smoothed cooling fins. 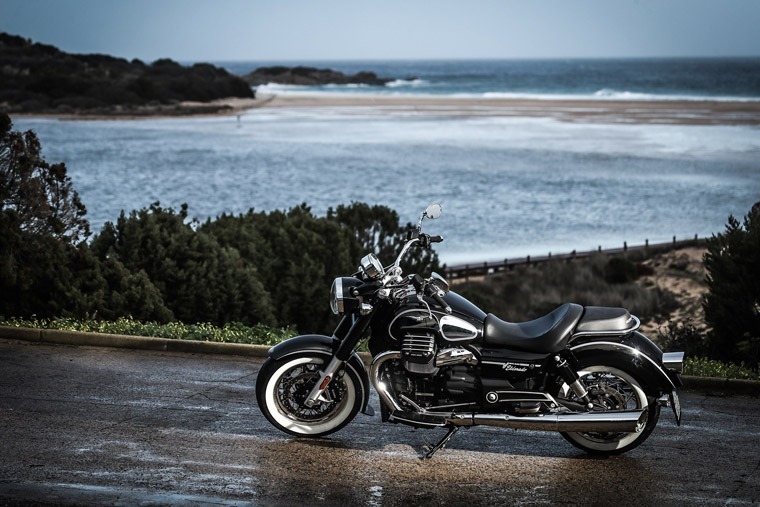 The engine is an absolute benchmark in its category for engine capacity-performance-consumption ratio thanks to excellent thermodynamic performance combined with advanced Ride-by-wire multimap electronic management. 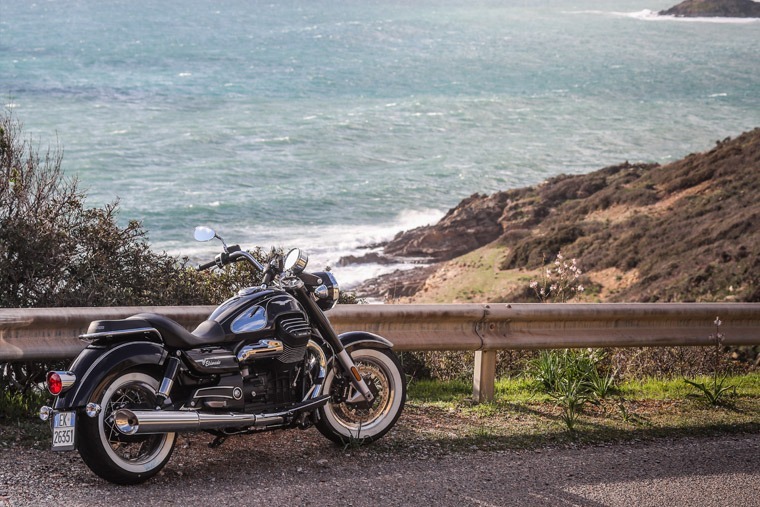 This technology allows the rider to choose one of three engine management maps: TurismoVeloce and Pioggia. 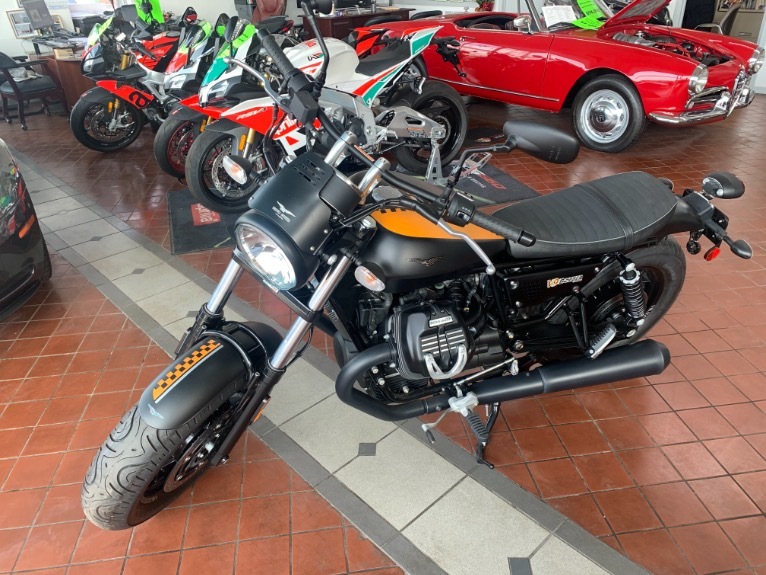 And that's not all: the dynamic performance of the vehicle is also kept under control by its latest generation traction control system (MGCT) which can be adjusted on three actuation levels in order to increase active safety without impacting performance and riding pleasure.